I'm going to tell you a secret. Are you listening? The secret to growing any successful online business is a blog. Yep, a blog. Now before you click that back arrow, hear me out. I'm not talking about the home-make blogging that was happening 10 years ago. These days, blogs can be a very valuable asset to your marketing plan. Things like SEO, keywords, and quality content will make your blog easy to find on those search engines. And at the end of the day, that's what we want. First thing first. Before you even start to think about content, you must do some keyword research. If you want good results when posting your blog posts, you need to figure out what keywords your audience is actually searching for. These are the topics you should spend your time writing about. Sure. You might be passionate about finding goldfish leashes, but unless other people are searching those exact keywords, your blog is going to be hard to find. Using Keywords is a critical part of making your blog SEO-friendly. But, we get it. If you aren't familiar with SEO and keywords it can feel overwhelming to try to understand how it all works. You could always consider turning to an SEO company for some help. Ok, now that we've talked about the technical stuff, let's talk about the fun stuff. The writing. After all, you wouldn't be thinking of starting a blog if you didn't have some great ideas and content that needed to be shared on the world wide web. The first thing you need to remember is to write for the reader, not the search engines. It can be tempting to try to write articles that search engines will find and send to the top of the list, but if your articles are full of genuine content, your blog will not last long. Remember, there is another human reading what you write. It must be natural, easy to read, and to the point. I mean, we aren't really known for our lengthy attention spans. Good blog posts follow some simple structure guidelines. We all remember 3rd grade writing, right? Introduction, body, and conclusion. Don't use big long technical words or phrases. These will turn the reader off and they'll look elsewhere for their information. Uses short sentences and short paragraphs to make the article readable. Use heading to break the text up and so information is easy to find. Once you've found a structure that works for you and your readers, stick with it. It's good for your readers to know what to expect when they come to your blog. While there is some flexibility for how long your blog posts should be, there are some rough guidelines to follow. Let's consider how a search engine crawls an article. Basically, search engines crawl articles looking for keywords and clues of what the article is about. In turn, the search engine will send the user suggestions based on their search. Anything less than 300 words is not enough length for search engines to get an idea of what the content is regarding. But, anything longer than 3,000 words and your readers will most likely quit before getting to the end. Most would agree that anything between 500 and 2500 words would suffice. So, as a writer, you just need to find your sweet spot. What length can you deliver good quality content while keeping your reader engaged? It may seem contradictory to add links to other websites to your blog. But, this is actually recommended in order to have the best SEO possible for your blog. These outbound links should be relevant and informative to what you are talking about. Adding links to authoritative and trustworthy sites creates a better experience for the user. It also helps search engines know that you're sincerely want to inform your readers. This will boost your SEO ranking. If you've already written a similar piece, be sure to an internal link. Internal links will make your blog post stronger because it shows that you are somewhat of an expert on that given topic. 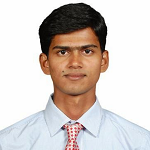 It also allows search engines to get a better idea of your site and what you are about. I don't care if you've written the best blog post the world has ever seen. If you're not providing quality on a regular basis, no one is going to ever read it. That's because search engines recognize when blogs are updated frequently. To them, it means that the information posted will be up-to-date and relevant to modern readers. Once a week is usually a good place to start. If you get going and have more information to share, then posting 3 to 4 times a week would be ideal. And again, readers love to know what to expect, so be consistent. Let them know they can count on you to deliver great articles weekly. Yep, even your blog needs to be organized. Organize your blog by using categories and tags. These allow readers to connect with articles about the same subject that have already been written. 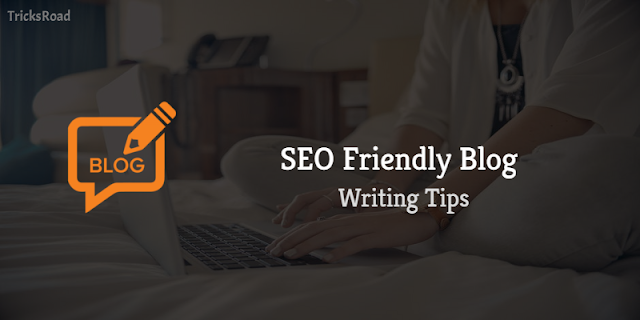 A well-structured blog can boost your blog's SEO. So find a system that works for you and use it religiously. Yep, we're back on those keywords. You've found your keywords, and you've written a great blog post, so how do you incorporate the two? Just like everything else, there are guidelines to follow when using keywords. Your keywords for your article should be included in the title, at least one heading, and one image description. They should also be placed sparingly throughout the article. We like to suggest once in the introduction, and again in the conclusion. Be careful not to use the keyword too much. This raises a red flag with search engines and they may mark your blog as spam. Also, be sure the use of the keyword is natural and readable. Just like you learned in preschool, sharing is caring. When you've posted a new article, share it on your other social media platforms. Share your article and encourage your readers to share as well. This sends search engines signals that your content is high-quality and they will send more readers your way. By following our guide, you will be able to pump out good articles that will entice the reader and track the attention of those search engines. All it takes is a little research and some practice and soon you'll have an engaging audience at your fingertips. Still have questions or concerns? Come check us out. We'll have you up and running in no time.